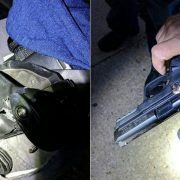 Yesterday’s unfortunate high-profile shooting at Mercy Hospital in Chicago, which apparently arose due to a dispute over a broken engagement, could have been even worse had this officer not been carrying his Smith & Wesson M&P: Chicago PD was dispatched to address the shooter. When police arrived at the scene, the perpetrator fired upon responding […] Read More … The post POTD: Smith & Wesson M&P Stops a Bullet in the Line of Duty appeared first on The Firearm Blog. 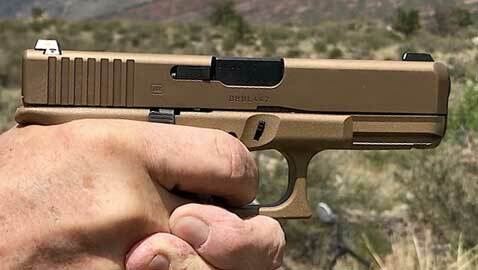 Franklin Armory is well known for pushing the envelope and creating some outside the box products that skirt the law to some degree. Take their Reformation. It looks like a short barreled rifle but since it does not have spiral rifling, it is not a rifle. 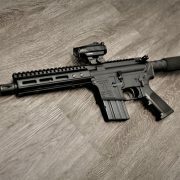 Their most successful product so far has to be […] Read More … The post Franklin Armory CA7 – CA DOJ Approved AR-15 Pistol appeared first on The Firearm Blog. I have nothing to add: Just read a travel advisory for those who live in states where pot is legal, warning their friends to be aware that just because it is legal to buy, doesn’t mean it is legal to have in other states. The comments lament how unfair it is and how hard it can be to keep current on a plethora of drug laws to remain compliant while travelling. “Welcome to our world,” says the gun owners. Nogun Shogun, Who Needs Arms When Defending the Border? Rep. Eric Swalwell‏ implies that when the government comes to take your guns, they should nuke you if you don’t comply. This is, essentially, calling for a war. And, trust me, that’s the last thing anybody wants. This simpleton probably thinks that he’s just gonna sit on the sidelines while the revenuers go door to door, kicking them in to take guns from Bubbas all across the red states. He’s wrong. With the tax cuts. Yet, the .gov still runs a massive deficit. Dont Buy A Smith & Wesson M&P .40 Without Reading This Review! Though I am tempted in the event there’s another run on ammo.